A tentative step towards creating a photograph library. Clicking on many of the images will display a larger version. 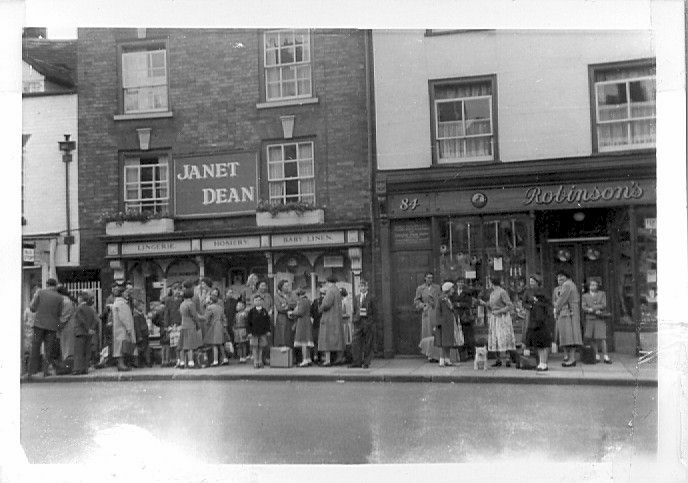 A delightful photograph from presumably the 1959 General Election sent in by Bill Treen. 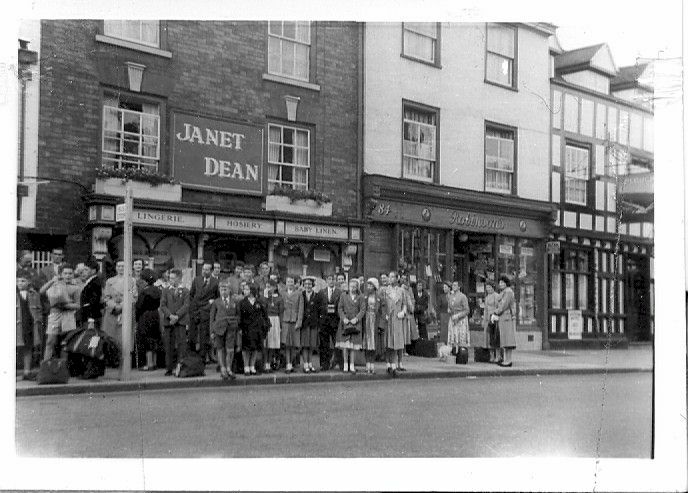 You can just see the subtle family advertising but in those days Treen's were in big demand to provide electrical entertainment of various kinds. 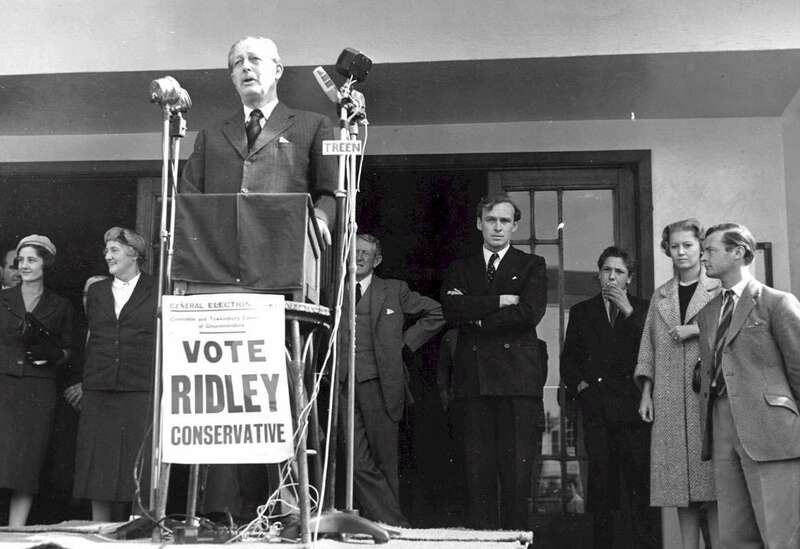 The photo also brings together to the two mutually antagonistic branches of the Conservative Party. 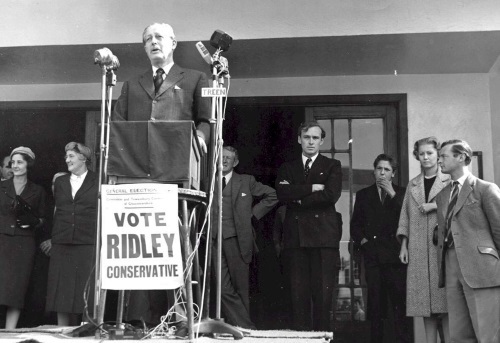 Starring is Harold Macmillan, a believer in One Nation and Consensus who proved in the late 1950s that we had never had it so good but behind him is the then young local MP, Nicholas Ridley, who became one of the architects of Thatcherism which discarded Macmillan's tradition. 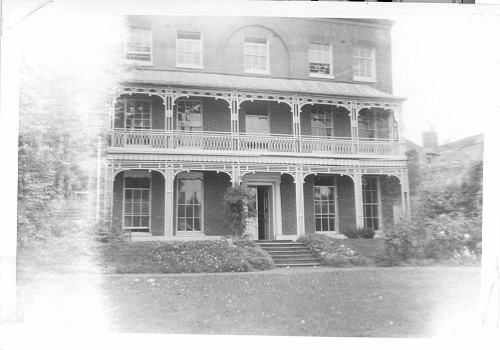 Bill tells us that the photo was taken on the front steps of the Sabrina Cinema where the library now stands. They are of Barton Road Junior pupils and their parents queuing for the bus for a trip to Belgium led by Mr. Griffiths. 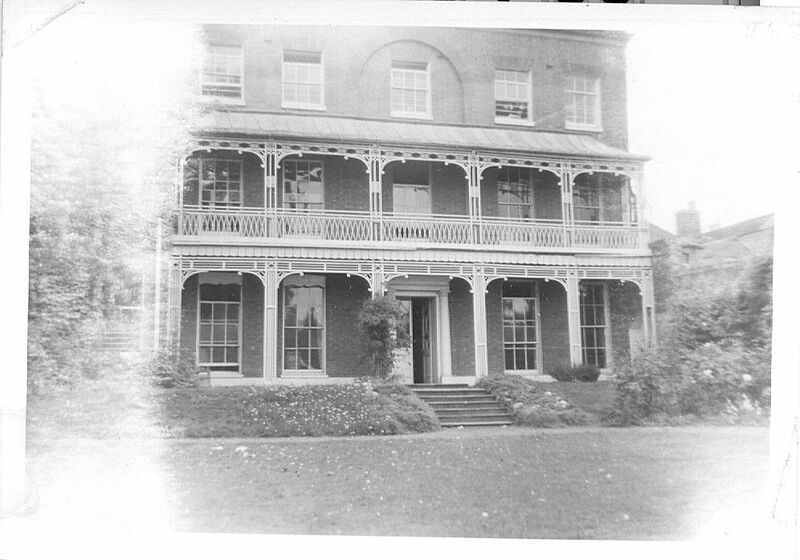 The other picture is of Tewkesbury High School for Girls -1960. I think, Miss Craighead was headmistress at the time. 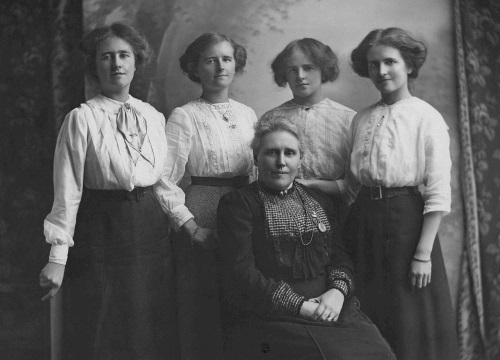 Photograph of the mother and sisters of Tewkesbury born Antarctic Explorer, Raymond Priestley (1886-1974). Mother was Henrietta Rice (seated). His sisters were Joyce (born 1890), Edith (1891), Olive (1893), Doris (1895). Joyce as the eldest looks to be the first on the left, the others are not as easy to identify. 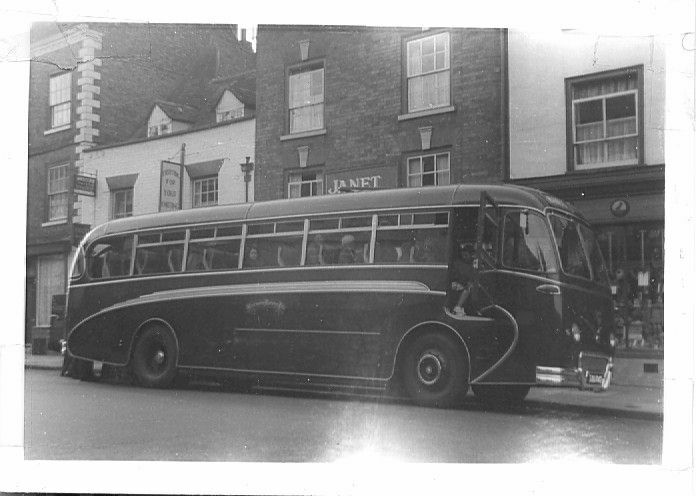 From the Cheltenham Chronicle and Gloucestershire Graphic newspaper. 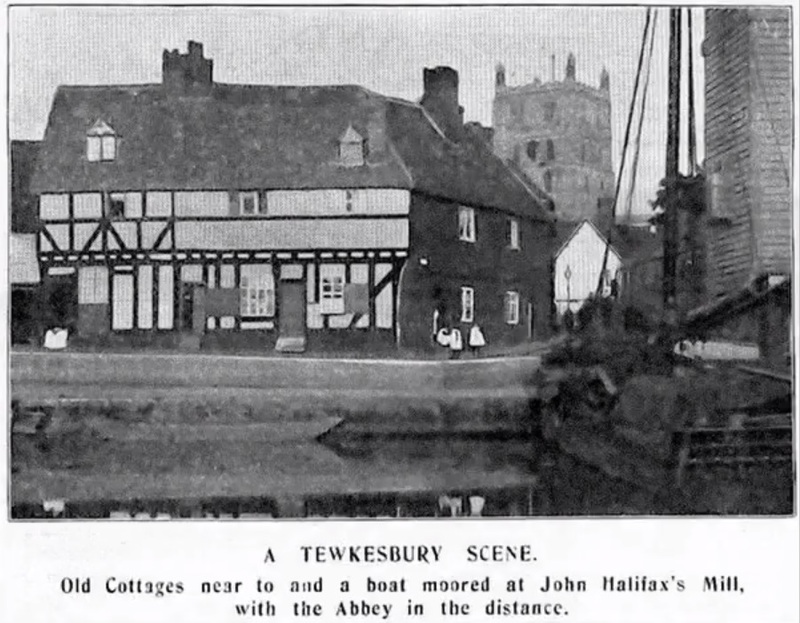 This photograph was taken in 1911 in Tewkesbury. 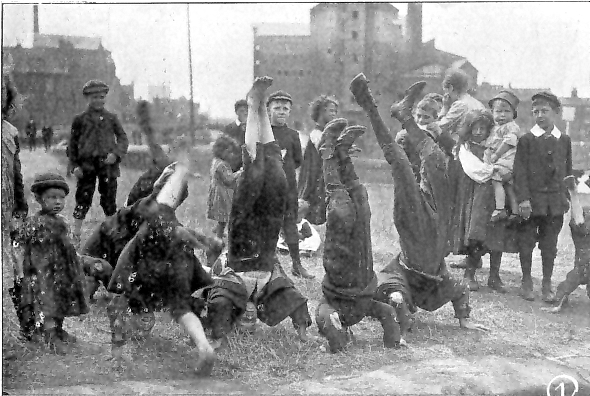 Children (some barefoot) performing for boat-trippers in the hope of getting some pennies. Healing Mill in the background. From the Cheltenham Chronicle & Gloucestershire Graphic newspaper 19 Aug 1911.